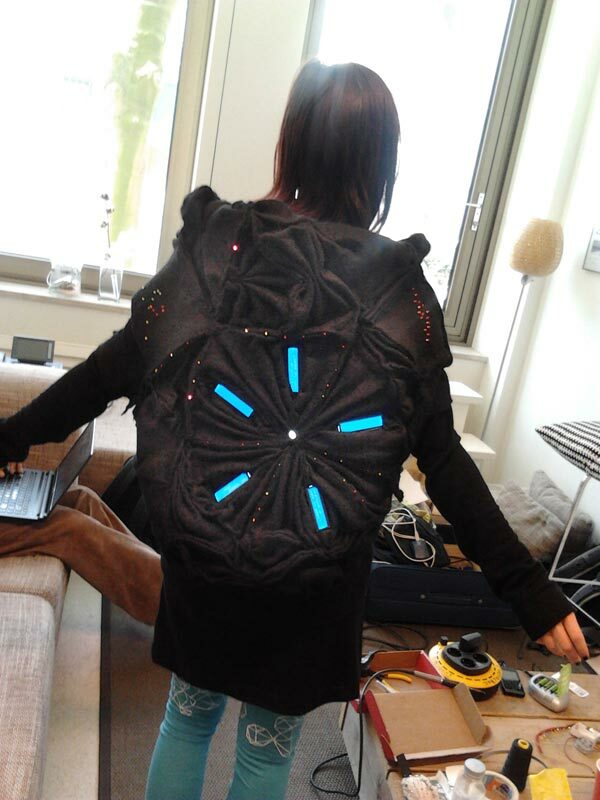 As a final result the vest in presentation stage. 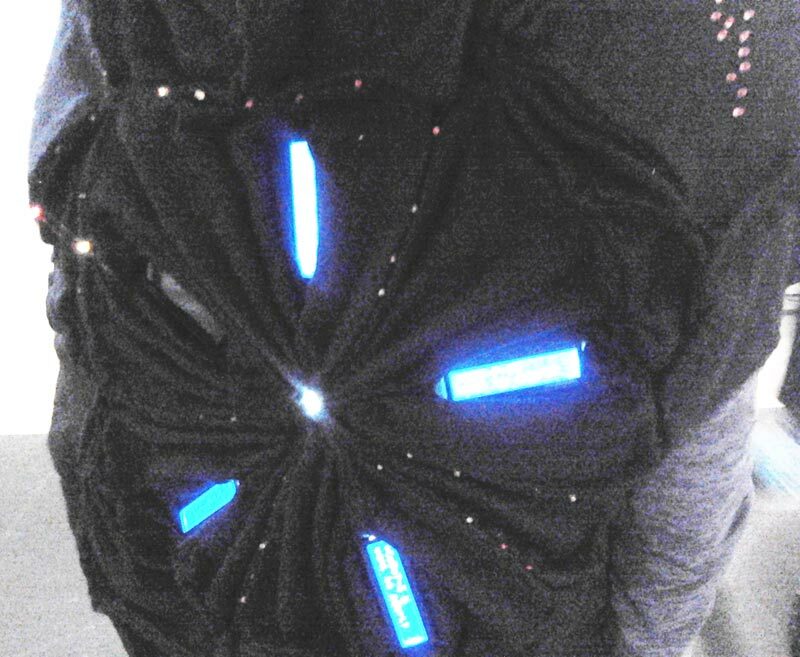 The vest has an incredible nice lining now, so we can really wear it without getting entangled in the electronics. The center big LED is glowing nicely and reacting if there is an exoplanet entered (by using the wii remote inside the felted Kepler Space Telescope) which is habitable. 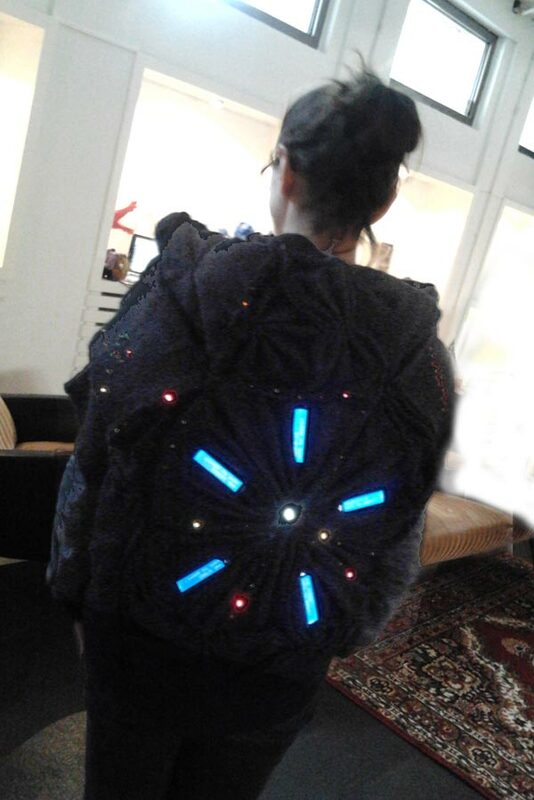 On the concept side: the vest is now a means to adopt exoplanets to make them less lonely. For the rest working with the Raspberry Pi in this crowded environment proved difficult: it became slow, and we had to use a list of exoplanet which was already downloaded (making it less updatable).